1942--THE LUCY-DESI COMEDY HOUR--"Lucy takes a Cruise"--Lucy and her friend Susie McNamera (who will go on to be a PRIVATE SECRETARY) go on a cruise where Lucy meets her future husband Ricky Ricardo and coincidentally her future landlords/best friends, the Mertzes. As my friend Toby O'Brien has pointed out, this may be the first television crossover. It is the very first episode of the Lucy-Desi Comedy Hour, which was a continuation of I Love Lucy. It aired 6 November 1957. 1951 to 1957--I LOVE LUCY--The story of Ricky and Lucy Ricardo, and their best friends, Fred and Ethel Mertz. Ricky is in show business, and Lucy is usually trying to get into the act, causing a mess in the process. December 1951--I LOVE LUCY--"Drafted"--Santa makes a brief appearance. 1952 to 1955--I LOVE LUCY--A comic strip ran that was in canon. May 4, 1954--THE BUICK-BERLE SHOW--Fred and Ethel Mertz appear. 1954 to 1962--I LOVE LUCY--Dell Comics published an I Love Lucy comic book that is part of the canon. 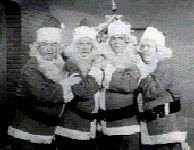 December 25, 1956--I LOVE LUCY--"1956 Christmas Show"--Lucy and the gang meet Santa, who pops in in Christmas morning. 1957 to 1960--THE LUCY-DESI COMEDY HOUR--After the end of the series, this show featured several specials continuing the series. 1958 to 1959--WESTINGHOUSE DESILU PLAYHOUSE--After the end of the series, this show featured several specials continuing the series. December 1958--THE LUCY-DESI COMEDY HOUR/I LOVE LUCY--The Williams (of THE DANNY THOMAS SHOW) take a vacation in Connecticut. They rent the home of Lucy and Ricky Ricardo. January 1959--THE DANNY THOMAS SHOW/WESTINGHOUSE DESILU PLAYHOUSE--"Lucy Upsets the Williams Household"--The Ricardos come pay the Williams a visit. November 1959--SUNDAY SHOWCASE--Lucy and Ricky appear. 1959--THE ANN SOTHERN SHOW--Lucy Ricardo appears. November 1959--SUNDAY SHOWCASE--"The Milton Berle Special"--Lucy and Ricky Ricardo appear. 1966--ADDAMS FAMILY--Santa pops in for a scene similar to that in the classic I LOVE LUCY episode. 1993--SESAME STREET STAYS UP LATE--Oscar the Grouch mentions he has cousins named Fred and Ethel. 1997--CONSPIRACY THEORY--Besides having crossover ties to both Mission: Impossible and the Man from U.N.C.L.E., Fred Mertz is also mentioned as a real person!!! OLD TIME RADIO UNIVERSE--There exists a pilot for an I Love Lucy radio broadcast. Because the script is based on the pilot of the TV show, but with changed dialogue, it can't fit in the TVCU. SKITLANDIA--The Ricardos and Mertzes appear on SATURDAY NIGHT LIVE, THE COMPLEAT AL, THE 'WEIRD AL' YANKOVIC VIDEO LIBRARY: HIS GREATEST HITS, MAD TV, and THE RICHARD BEY SHOW. Three crossovers you could talk about. That green alien from the Flintstones and Zoidberg appeared in a modern Looney Tunes short. 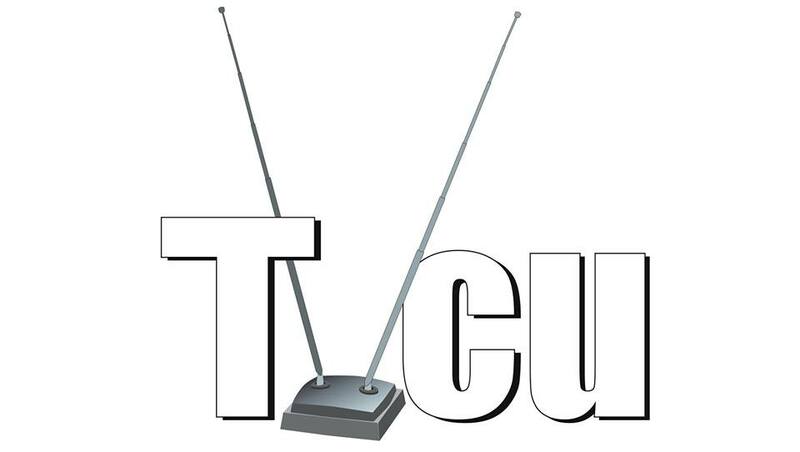 But why do you put Futurama in the TVCU? Speaking of, what about how Family guy appeared with Ice Age and there was a robot Sid in Robots and there was a live action talk show in Brian Writes a bestseller. There was a We are Family music video which had Between the Lions characters saying that Spingebob, Athrur, Barner, Elmo, Kermit and maybe others in the same world. Maybe that doesn't apply to the rest of the characters in that video. Loonatics Unleashed shared backgrounds with Batman Beyond. Wow, lots of unconnected thoughts, none of which have to do with the actually Lucy blog. But here are my responses, in order. Can you provide me a link to the Looney Tunes short? Futurama has way more connections to the TVCU than the Looniverse. In fact, the Simpsons/Futurama comics crossover specifically shows them being in alternate realities.
" Speaking of, what about how Family guy appeared with Ice Age and there was a robot Sid in Robots and there was a live action talk show in Brian Writes a bestseller. " I'm completely lost here. Is this one crossover or three? Can you cite films or episodes or provide links? We are Family. Again, can you provide a link? Apologies. Just the most recent way to contact you. Can I email you? Had someone who worked on Futurama and the green alien from the Flintstones is also there. Same big company, actual footage and original actor. Also, Sid appears in Robots. Notice how some shows like Spongebob and Arthur would be in the TVCU. Sorry, but I only read of that Loonatics Unleashed thing. I watched the video. The Great Gazoo was not in the Duck Dodgers short, but yes, an ancestor of Zoidberg was there as a member of the ruling council, along with a Klingon.